Announcing India's first ever Dialysis Olympiad! 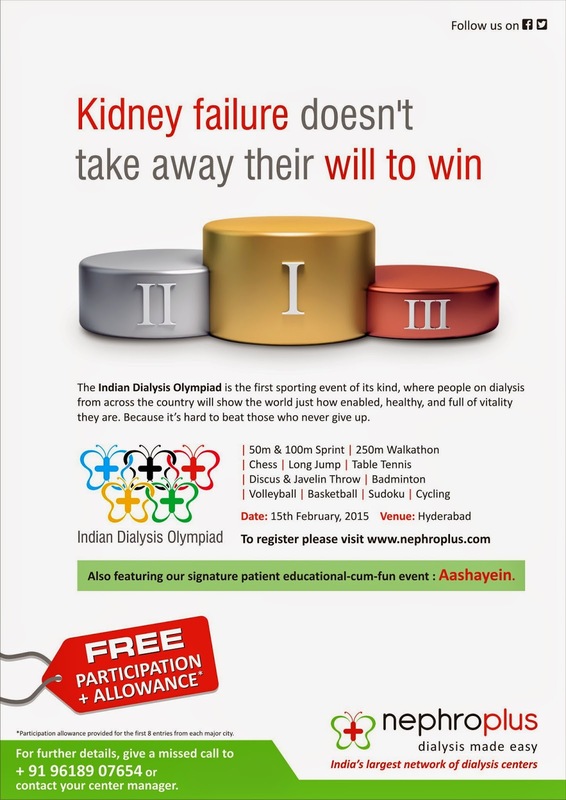 NephroPlus is organising India's first ever Olympic style Games event for dialysis patients! We at NephroPlus firmly believe that dialysis patients can lead normal lives. What better way to prove this that organising such an event? The event will end with our signature event - Aashayein!